The Dunlop ® I-Armour Protective Squash Goggles are designed with an ergonomic profile for extra stability and contoured lens shape for peripheral vision, I-armour sets the benchmark for premium protective eyewear. 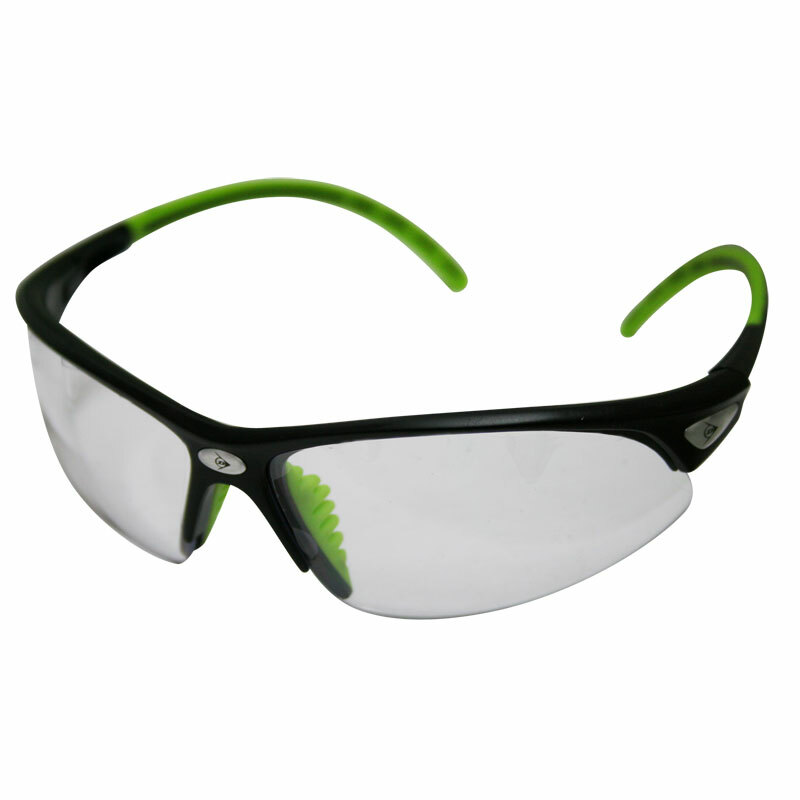 Ballistic tested polycarbonate lenses and impact aculon frames. Exclusive diamond coated lens to reduse abrasion and misting. They don't fall from you face even without the strap. I didn't have easy mist problems but that's probably dependent on the wearer.